Well, so I built my jib up and learnt a few things. The carbon rod on the top for the tension wire, broke under strain as the wire couldn't slide along it, so it pulled it over. 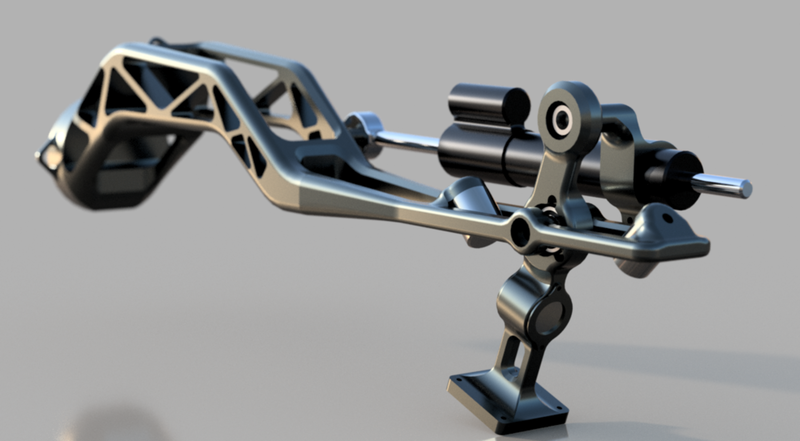 The centre section also bent under use, as it was too thin to deal with the leverage of the jib in it's longest mode. Ah well, good lessons learnt in engineering something like this. I can see that the joints and jib have to take a lot of force once a camera weight is reaching out one end and the counterweight on the other. 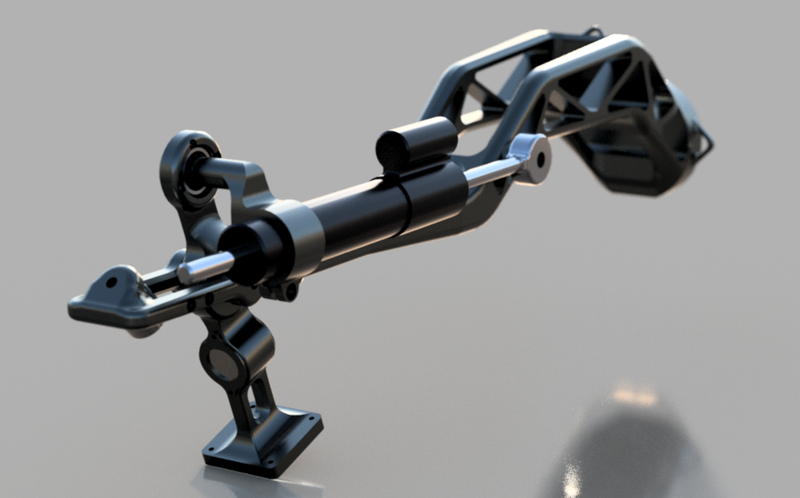 So I redesigned the jib completely. The old parts are just a piece of expensive art now, but I've had fun with the whole process so c'est la vie! The central section now has a box square on top of the dovetail plate for strength, it attaches to the female part of a dovetail joint that replaces my techy finger design. It's a little more basic, but should provide a very solid lock as the dovetail will be tight and not be able to flex, also having a screw top and bottom to secure it.